A general view of MacHale Park. THE MAYO GAA Board are set to save up to €200,000 per year after Croke Park’s decision to take over the full redevelopment of MacHale Park. Under the terms of the deal, it is believed the GAA will assume control of a €5 million loan the board had with Ulster Bank with Mayo now repaying Croke Park at a much lower interest rate that could save the county millions over the near 30-year term. “In real terms, our repayments will now work out at approximately €33,000 per month, that’s down around €15,000 per month from what we had been paying. The way we look at it, it’s quite sizeable but manageable. It’s not the first time the GAA has stepped in when a county has struggled with finances with Kildare requiring restructuring of loans and some advances in 2012. Offaly also have a proposal before the GAA’s National Finance Committee to help them with a six figure sum owed to creditors. Email “GAA to save Mayo €200k a year as they take over MacHale Park redevelopment”. 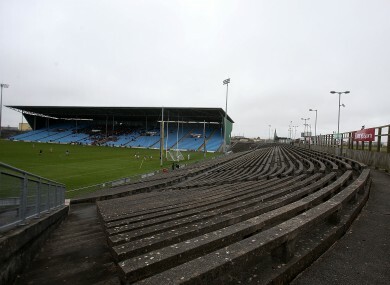 Feedback on “GAA to save Mayo €200k a year as they take over MacHale Park redevelopment”.